I visited Nakata Kannondo Hall in Aizumisato Town today. 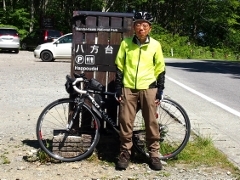 This is a kannondo which world famous bacteriologist Dr. Noguchi and his mother relied upon in their lifetime. 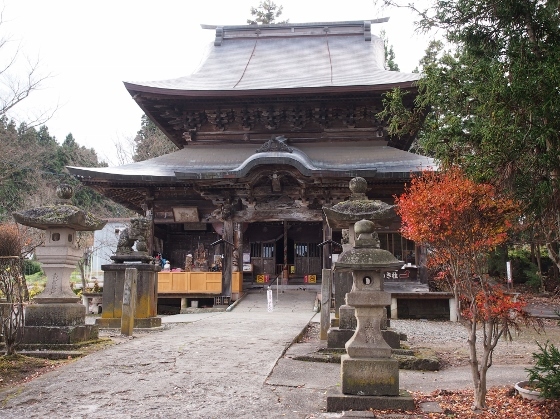 (Now, kannondo is a building which houses a statue of Kannon: the Goddess of mercy.) 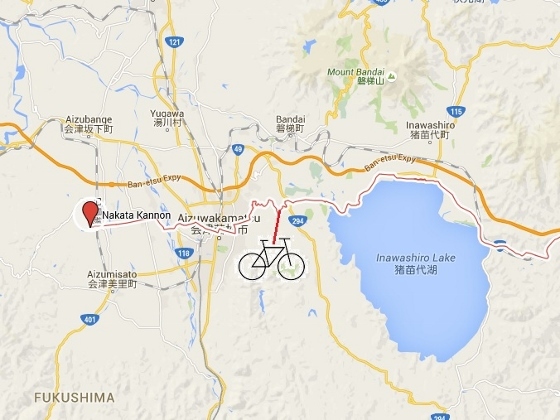 The location is several minute walk from JR Negishi Station of Tadami Line. 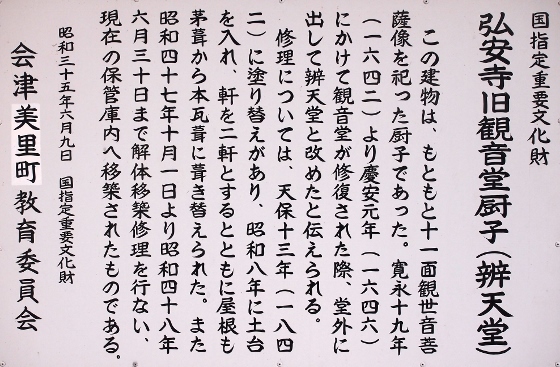 Pictures above are the explanation and front view of Nakata Kannondo. Inside the building, an old Kannon statue from 13th century stands. But the current Kannondo building itself is not so outstanding. 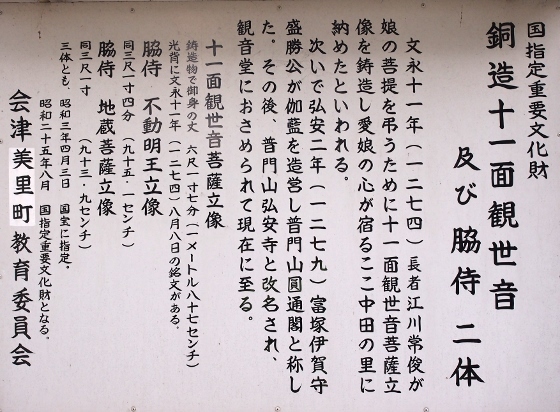 It is not allowed to take picture of the Kannon. 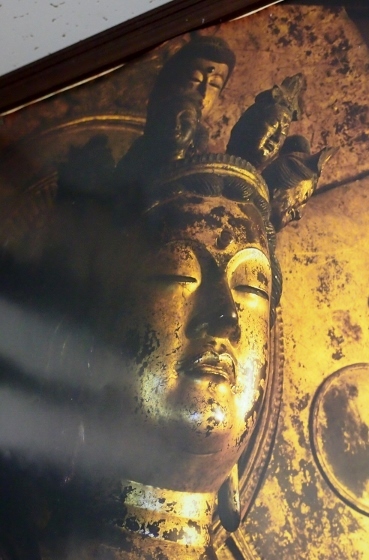 But a picture above from a poster slightly shows an image of the Kannon, although it has some noise in the left. The kannon has eleven faces, 187cm tall, and is made from copper and gold. It was created in 1274 and once was designated as a National Treasure. Now it is a National Important Cultural Property. 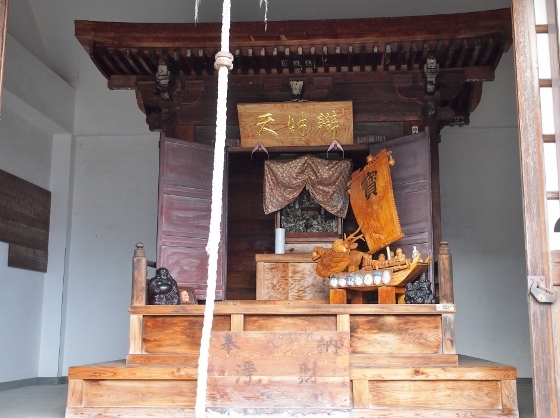 In the precinct of the same Koanji Temple, there is an old miniature shrine called "zushi" shown above. This zushi was made at the same time as Nakata Kannon and was also designated as a National Important Cultural Property. 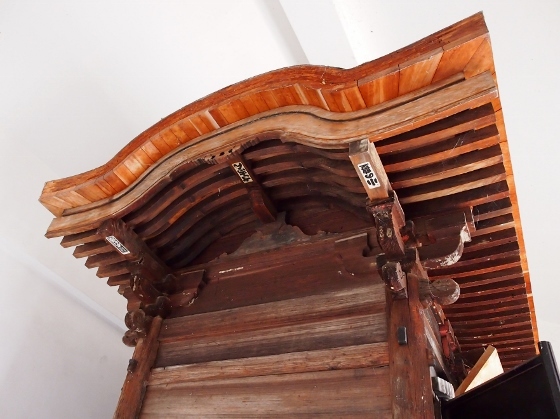 A lady in the Kannondo told me that the curved shape of its roof (picture above) is a rare kind of structure in those days and is extremely valuable.